With a confirmed running time of more than two and a half hours, Batman v Superman: Dawn of Justice had a lot going on when it arrived in theaters on March 25. We've gone over all 153 minutes with a fine-toothed comb and picked out the best and biggest Easter eggs to give you hints of what to look for in the movie. During Clark Kent and Bruce Wayne's (rather tense) conversation, Clark's seen standing in front of a painting that appears to be a work by artist Cleon Peterson. This in and of itself isn't necessarily news, as Peterson has said publicly that some of his art will be seen hanging at Lex Luthor's pad. But the painting in question, titled A Balance of Terror, seems hugely significant. The theme of the work, which depicts the casual, senseless slaughter of one group of people by another, is that absolute power corrupts absolutely—that those who possess it are essentially doomed to destroy those who do not. That point of view directly reflects Batman's reasons for worrying about Superman's presence on Earth, as well as echoing words said by Luthor in the trailer. The painting's black-and-white color scheme also encapsulates our heroes' opposing points of view. Superman, on the light side, seeks to help the helpless; conversely, Batman seeks out the dark, where he can root out evil before it has a chance to destroy. Whether any of this is stated explicitly in Batman v Superman: Dawn of Justice, the painting's presence in the film would seem to reflect some impressively layered thinking on the part of screenwriters David S. Goyer and Chris Terrio. 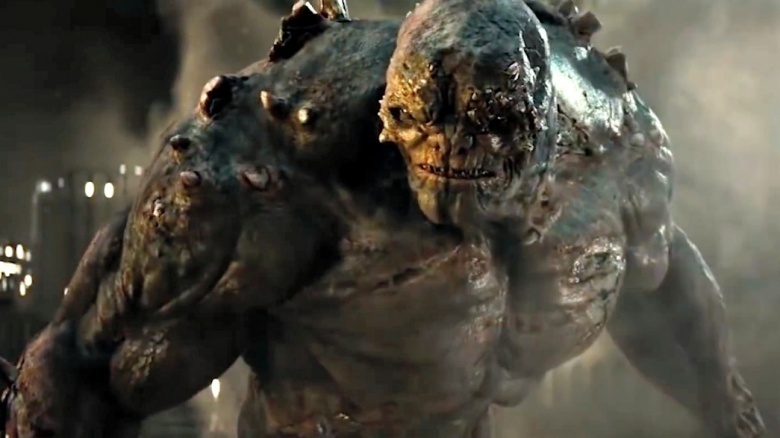 The big, ugly villain our heroes unite to destroy is Zack Snyder's version of Doomsday, though it should be noted that the movie never explicitly calls him that. Lex says that the monster is Superman's "doomsday," but that's the first and last time the guy's official name is used. What's important to keep in mind is that Doomsday, for all his importance to comics fans, is still a relatively unknown character to most audiences. As such, his inclusion here is a bit more of a wink and a nod to knowing comics readers, while less-informed moviegoers are getting their first glimpse at the bad guy who infamously killed Superman in the comics in the early '90s. But, as hinted at in the trailers, instead of arriving from space, the big-screen version has been engineered from the corpse of Zod, the Kryptonian maniac Superman killed at the end of Man of Steel, along with a bit of Lex Luthor's genetic material. In many other respects, though, he's still the same unstoppable killing machine. That's no ordinary lackey bringing Zod's corpse to lab-coated Lex Luthor. 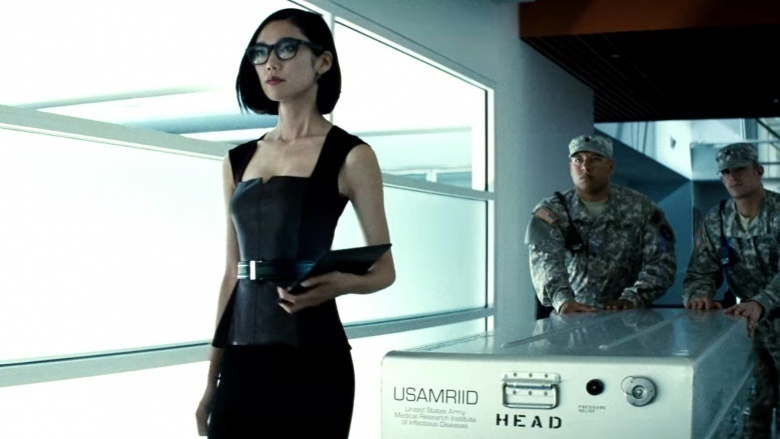 Fans of Superman: The Animated Series will recognize the character of Mercy Graves (played here by Tao Okamoto), Luthor's personal assistant and bodyguard. This strange sequence, part of a nightmare vision glimpsed by Bruce Wayne at his Bat-desk, hints at something looming on the DC movie horizon. 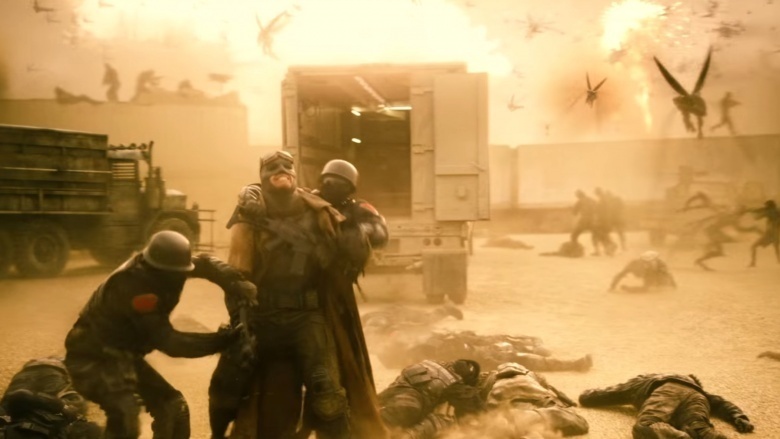 Fans of the comics will recognize the flying creatures in this scene as Parademons, the nasty comics creatures who serve the bidding of the intergalactic uber-villain known as Darkseid. You can also see Darkseid's Omega symbol carved into the ground at the beginning of Bruce's vision, and Luthor seems to directly reference his impending arrival when he threatens "he's coming" at the end of the movie. Snyder has said all along that Ben Affleck's Batman is an older, more battle-hardened version of the character than any we've previously seen on the big screen. 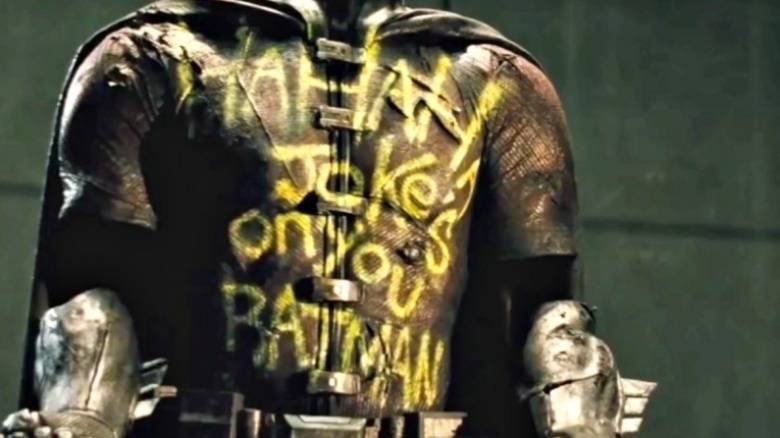 This moment appears to offer part of the explanation why—specifically, a glimpse of what looks like the costume worn by Robin, presumably before he was presumably killed by the Joker (who seems to have defaced Batman's monument to his fallen friend, and is mentioned in passing when Bruce tells Clark he doesn't trust people "dressed like clowns"). It seems likely we'll hear more about this in subsequent DC movies. 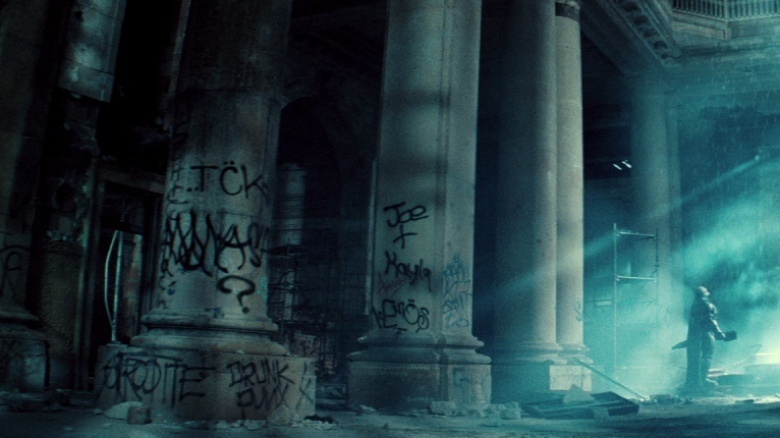 Batman's troubled past is felt more than seen or discussed in Batman v Superman: Dawn of Justice, but Snyder's fondness for referencing comics lore can be seen in this shot, which includes what looks a lot like some graffiti left behind by the Riddler. Might we see him in future DC movies? And will Jim Carrey reprise the role? We saw a return from Man of Steel's bad guy, General Zod, albeit in the form of a corpse (and then a CGI monster). While the trailers showed that to be the case months before the movie dropped, the little robots inside the Kryptonian ship did give us another cool little Easter egg. We find out that Zod comes from Kandor on Krypton, which is better known to comic fans as the Bottle City of Kandor. 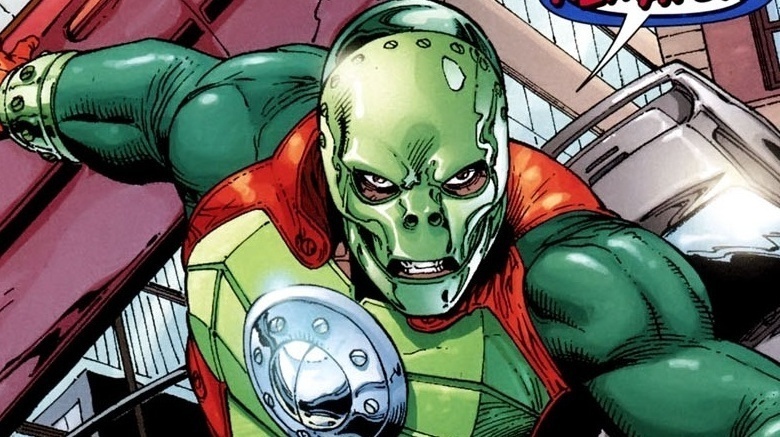 It was the captial city of the planet, which ended up getting shrunken and stolen by the Superman villain Brainiac, part of his intergalactic collection. 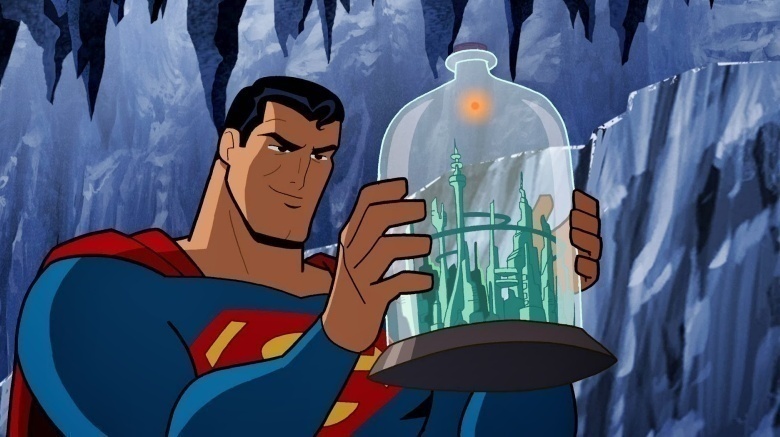 When Superman and Brainy face off, Kandor ends up under Superman's protection at the Fortress of Solitude. Time will tell if we'll ever get around to seeing a showdown like that in the movies, though. 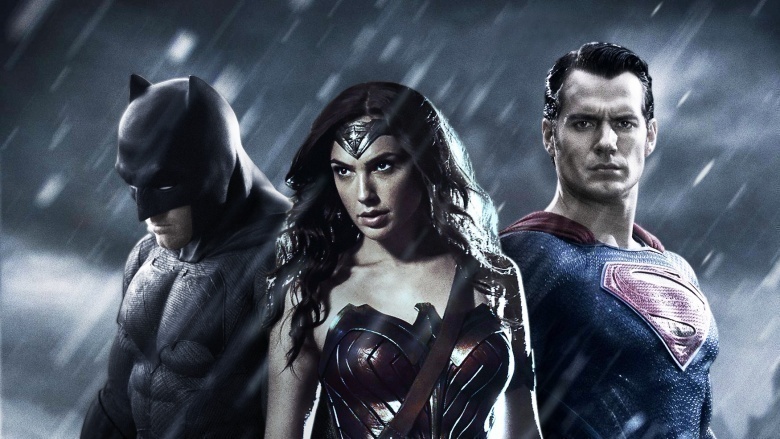 Batman v Superman: Dawn of Justice gave us just enough Wonder Woman to get us really excited for her solo movie, set to debut in 2017. The big Easter egg is the photograph of Wonder Woman and a bunch of other seemingly anonymous folks from World War I that was recovered from Lex Luthor's metahuman database. While it's too soon to know about every figure seen in the photograph, the man standing on the left is none other than Steve Trevor (Chris Pine), Wonder Woman's longtime love interest and adventuring partner. 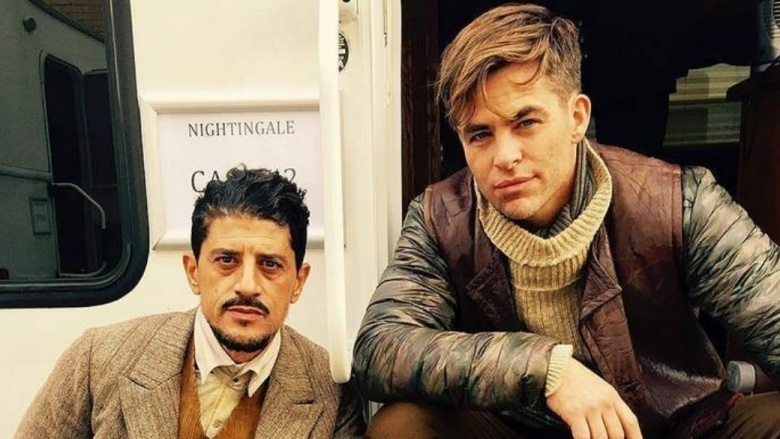 We'd love to know just who else was standing with them (though one of them is probably Saïd Taghmaoui, pictured with Pine in the photo that Taghmaoui tweeted from behind the scenes of Wonder Woman's set). The World War I photo from Batman v Superman also alludes to Wonder Woman's long, convoluted publication history. For instance, longtime comics readers know that at one point the character's continuity took a turn that made her mother, Hippolyta, the one who fought in the European theater of war. 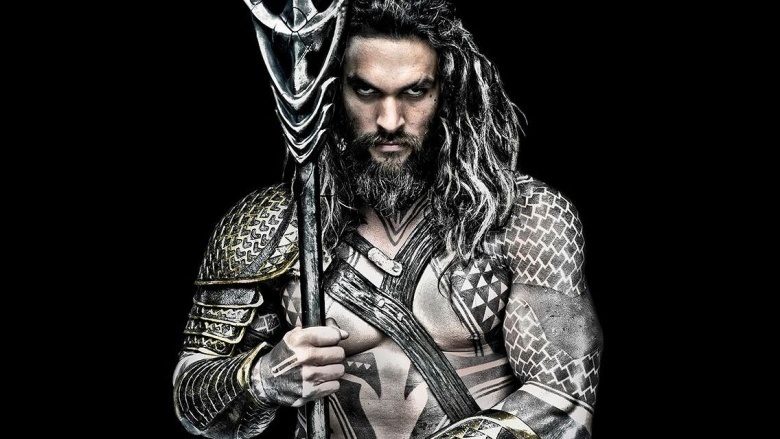 We all knew Warner Bros. had hired Jason Momoa to play the DC Cinematic Universe's version of Aquaman, but we weren't sure just how (or for how long) he'd appear in Batman v Superman: Dawn of Justice. Now that the movie's out, we can tell you the underwater Justice Leaguer does definitely show up…but you'd better be paying attention, because he isn't around for long. In fact, it's probably not much of a stretch to believe that most moviegoers didn't realize who or what they were seeing when Wonder Woman opens Lex Luthor's intelligence file on the Sea King. But comics readers knew that the wild-looking muscleman, armed with a trident and a serious scowl, was none other than Aquaman himself. What's he doing swimming around that undersea shipwreck? And how much of Atlantis will we see when Aquaman makes a return appearance in future films? 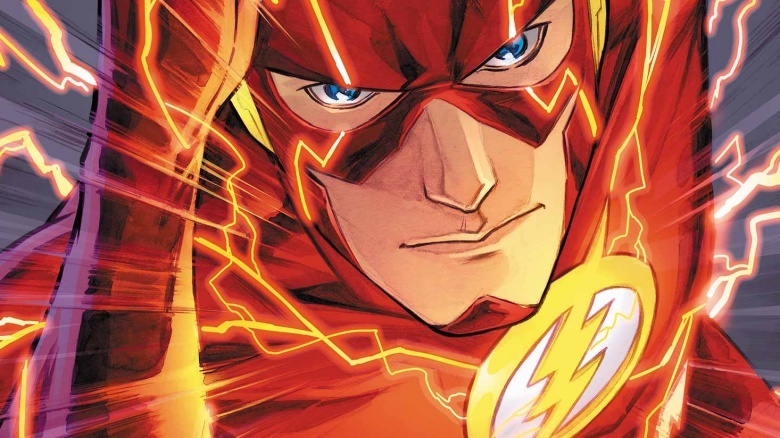 Flash's appearance in Batman v Superman: Dawn of Justice is a little more involved than his fellow future team members, but it's still pretty quick (ha ha), not to mention confusing for non-comics fans. Basically, when he pops up after Bruce's vision, it's a sort of callback to the DC Crisis on Infinite Earths storyline, part of which found Flash zipping around the timeline warning heroes about the coming danger, which is exactly what it looks like he's doing in the Batcave. As for why Bruce seems to shrug off the entire experience a few minutes later, we have no idea. 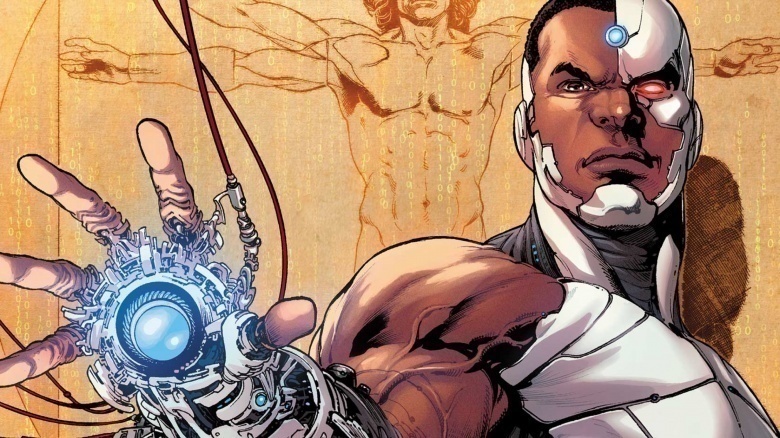 Ray Fisher will make his first substantial appearance as Cyborg in the Justice League movie, but we got a little hint of his origin during Batman v Superman, courtesy of some lab footage that shows him being, uh, booted up for the first time. You also get a glimpse of the DC Comics creation known as a Mother Box, essentially an ancient supercomputer that ties in with the Darkseid story (and yet another hint that yes, Darkseid is coming). 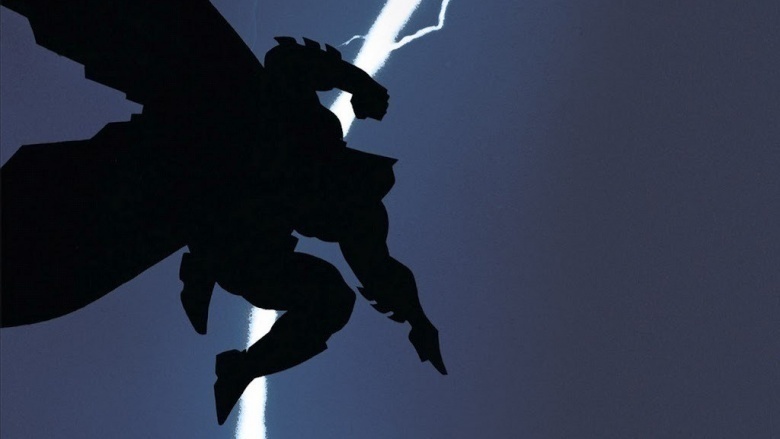 If you've watched Watchmen, you know Zack Snyder likes recreating comics panels in his film adaptations, and Batman v Superman: Dawn of Justice is loaded with callbacks to one of its biggest inspirations, the Frank Miller graphic novel The Dark Knight Returns. It starts early, with this movie's depiction of Bruce Wayne's parents being killed (a shot of Mrs. Wayne's pearls around the mugger's gun is a direct lift from the book), and continues throughout the movie, both in the dialogue and in the way certain shots are lined up. You don't necessarily need to have read TDKR to understand what's going on in BvS, but it's definitely a companion piece of sorts. 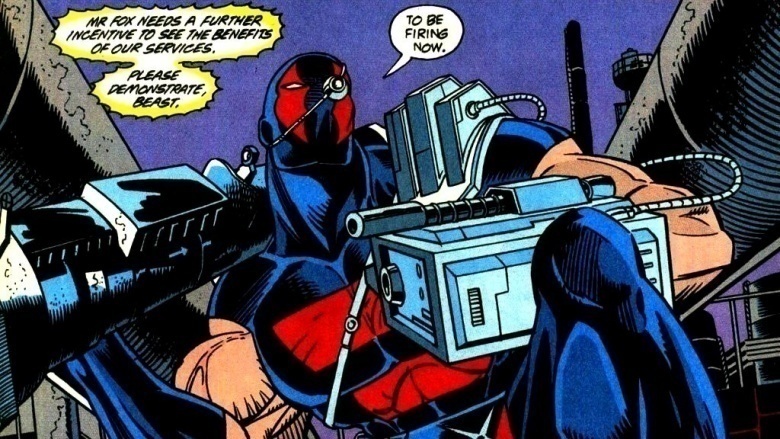 Lex Luthor has a high-ranking henchman in Batman v Superman named Anatoli Knyazev (played by Callan Mulvey), and although he doesn't look anything like he does in the comics, DC fans will recognize that as the real name of the villain known as KGBeast. Could we be seeing Knyazev in a different form later on? Love him or hate him, Snyder definitely enjoys paying homage to the comics. One brief example comes during an argument between Clark Kent and Perry White during Batman v Superman, during which White tells Kent that he can't report on the types of stories he wants to cover because "it's not 1938 anymore." As any DC fan will tell you, that's the year Superman made his first appearance in Action Comics #1. 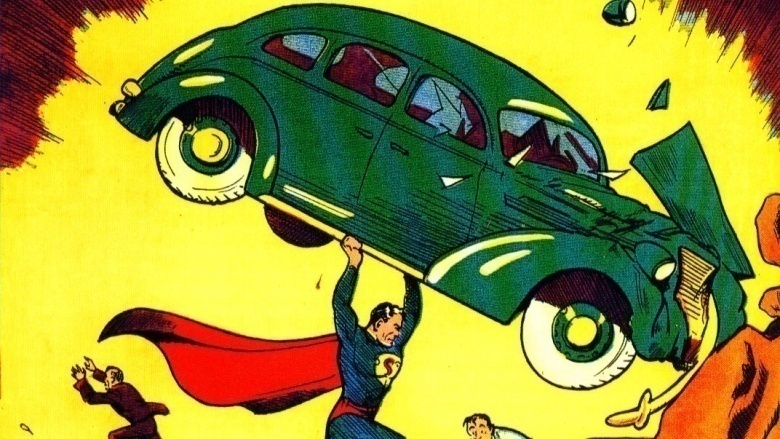 Batman v Superman's Action Comics reference is far from the only nod to the Man of Steel's printed adventures. During one scene, the senator played by Holly Hunter asks, "Must there be a Superman?" 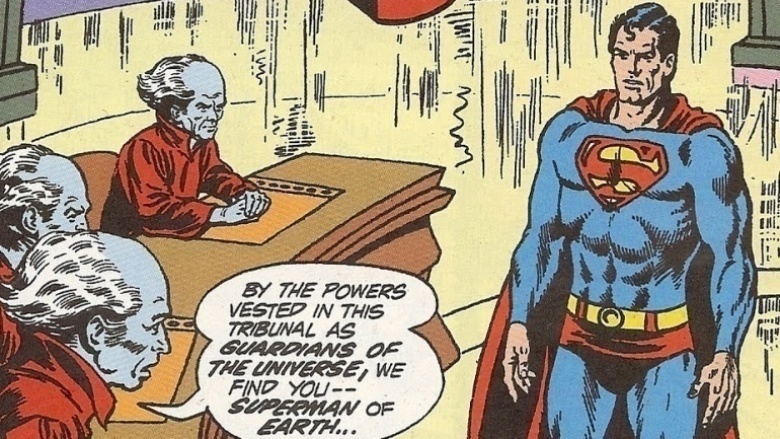 It's an interesting question, and one that directly points to a 1972 issue of the Superman comic in which our hero is forced to face a tribunal for his "crimes against humanity." Despite rumors to the contrary, Batman v Superman: Dawn of Justice did not include an appearance by Metallo, the comics villain who goes from life as a soldier to a life of crime after having his body rebuilt with Kryptonite-powered cyborg parts. Yet if you watch the closing credits, you'll see that one of the technicians demonstrating the effects of the mineral in Luthor's lab is named Emmet Vale…which just happens to be the name of the scientist who built Metallo. As much fun as Zack Snyder clearly has calling back to the comics, he isn't above changing things up when it suits him. 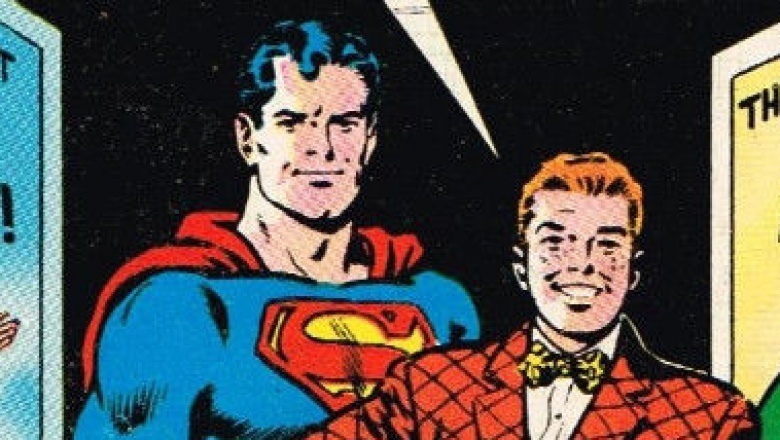 Case in point: Jimmy Olsen's brief (and ultimately tragic) cameo in Batman v Superman: Dawn of Justice. Early in the film, when Lois travels to the fictional country of "Nairomi, Africa" for a story, she's accompanied by a photographer who turns out to be a CIA spook and is quickly put to death by the warlord she's interviewing. 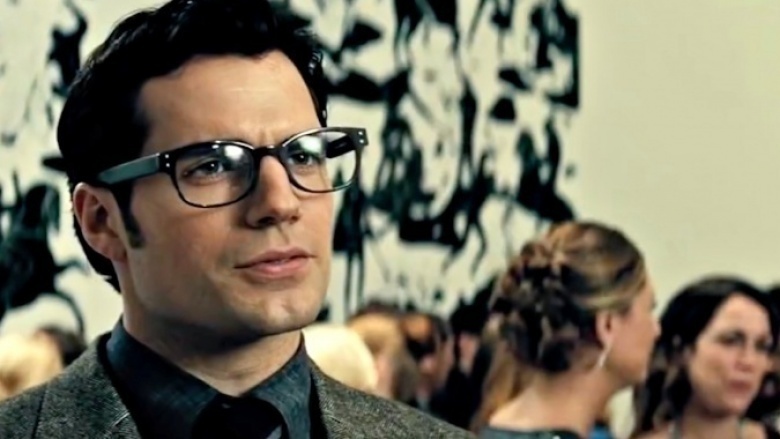 According to remarks Snyder made during his press tour, that's actually Jimmy, and although Snyder didn't think there was any room in the DC cinematic universe for him, he decided putting one of Superman's best friends in the movie and killing him off would be a way to "have fun" with the character.